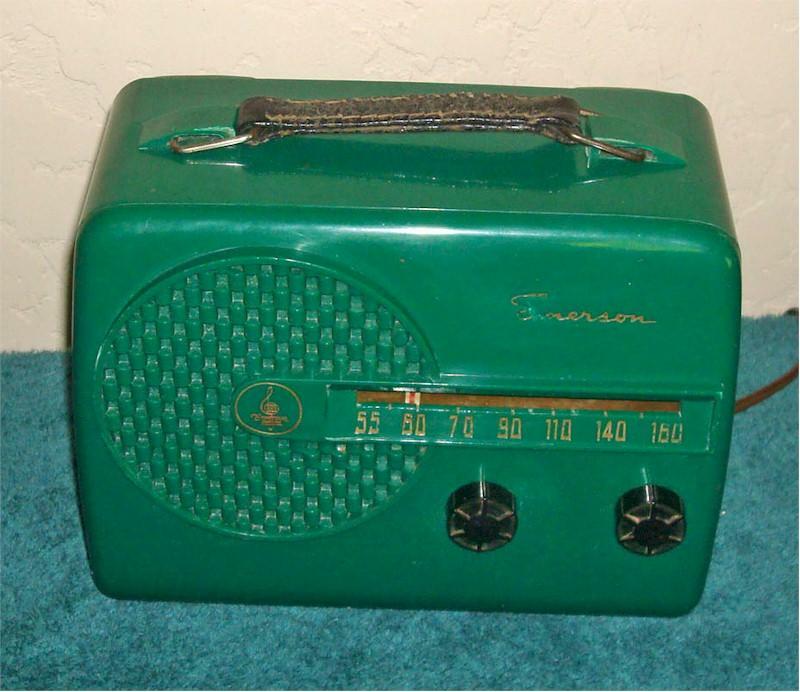 This is a really striking green AC/battery AM radio. No chips, cracks or deep scratches in plastic case. Chassis is excellent. Serviced by our shop and anything it needed it received. Plays very well on AC. The battery is obsolete. Just a super radio. Made in USA. Radio weighs 4 pounds. 8-3/4"W x 7"H x 4-3/4"D.
You are visitor number 2,167 to this page.